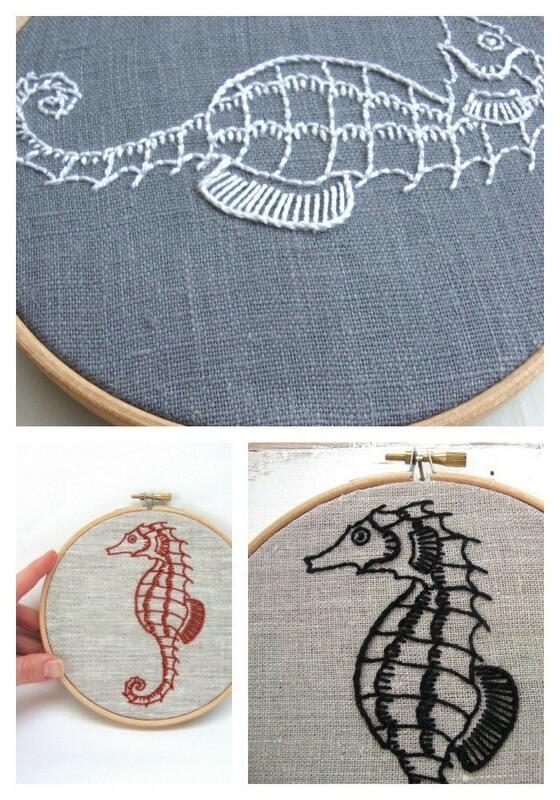 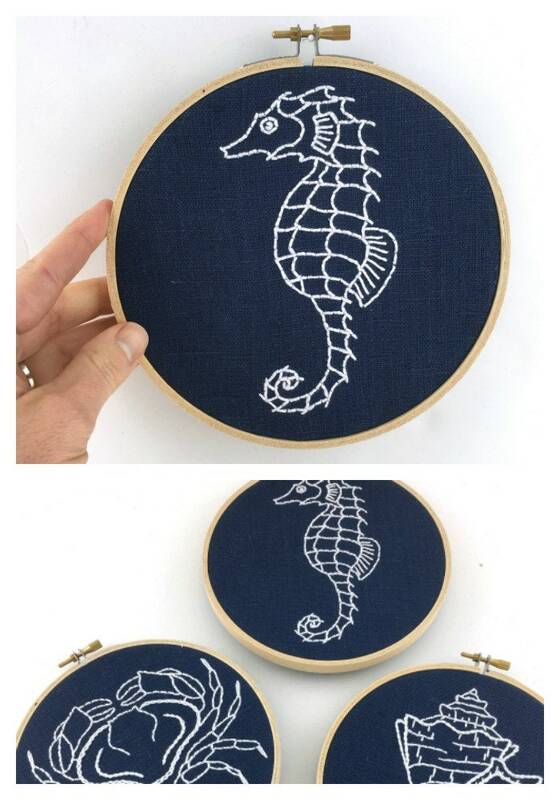 This DIY embroidery kit features a seahorse pattern, printed on beautiful INDIGO linen! 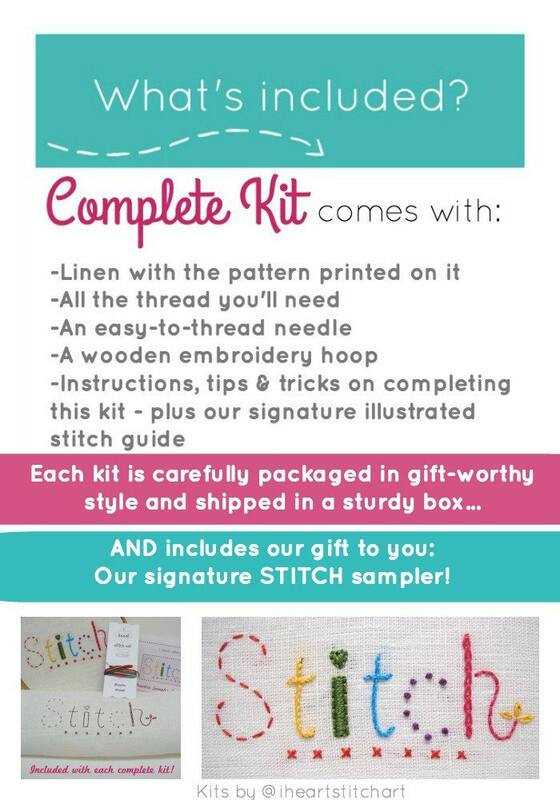 You'll find it easy to get started - this complete kit contains everything you'll need. 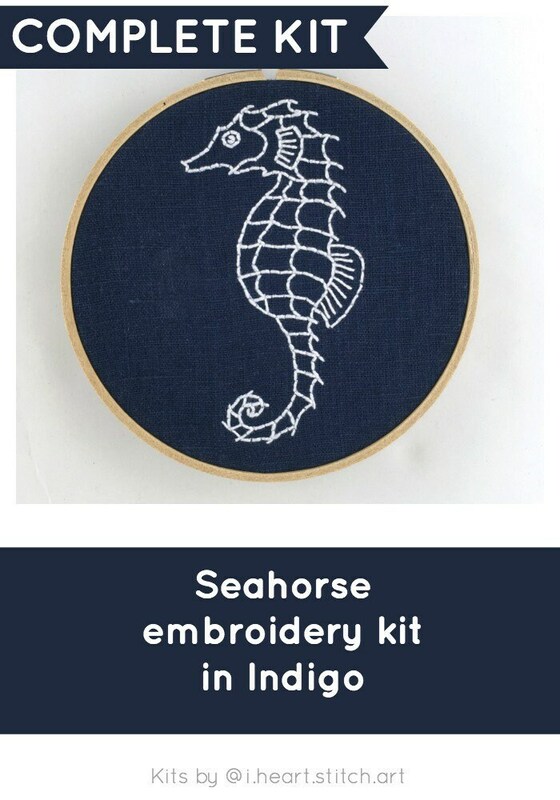 Fabric measures approximately 10.5" x 9"; seahorse measures 5.5" x 3".